For information regarding Patron Sponsorship or the Platinum, Gold and Silver sponsorship packages, please contact the Secretariat for a copy of the conference prospectus or click here to download. Sponsorship is inclusive of both 6IAS and Target 2020. Expressions of interest should be directed to the Secretariat as soon as possible. Our charter is to market, in conjunction with local organisations, Western Australia nationally and internationally as a destination for conventions, exhibitions and incentive travel groups. 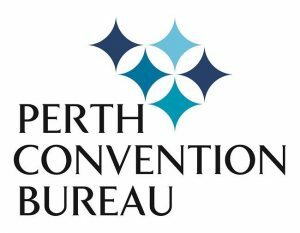 The Bureau’s bank of in-house expertise and industry knowledge ensures that your meeting, incentive or exhibition planner will have access to current market intelligence, local support and assistance to help bring an event to Western Australia.